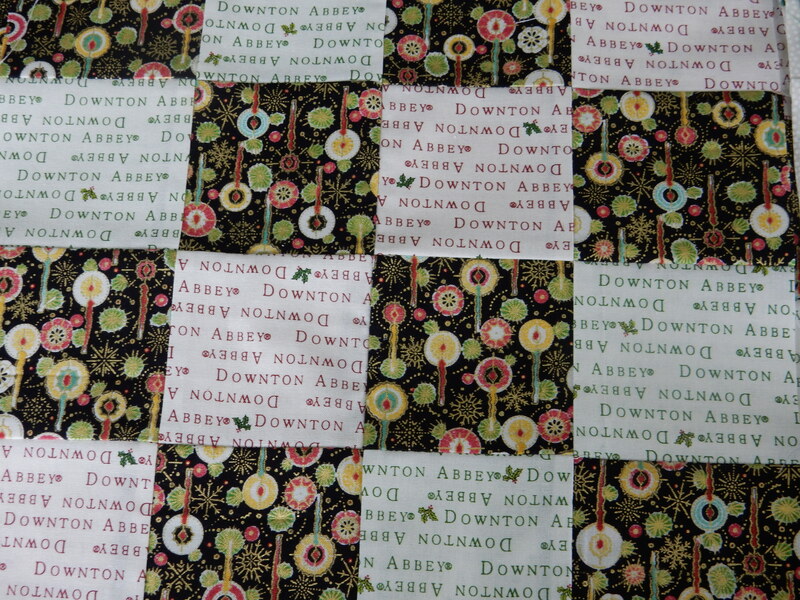 I went to Downton Abbey, so I had to join a quilt along. 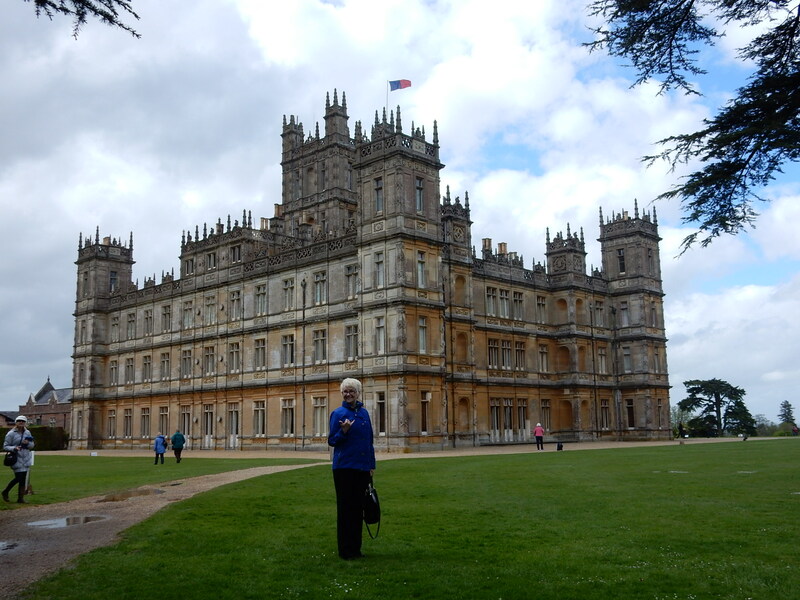 Speaking of my Anglophile tendencies, I went to Downton Abbey in May. A trip to the promised land for someone like me, someone whose idea of a rollicking viewing experience is Sense and Sensibility. Or Downton Abbey, of course. It’s my absolute favorite TV show in recent years. 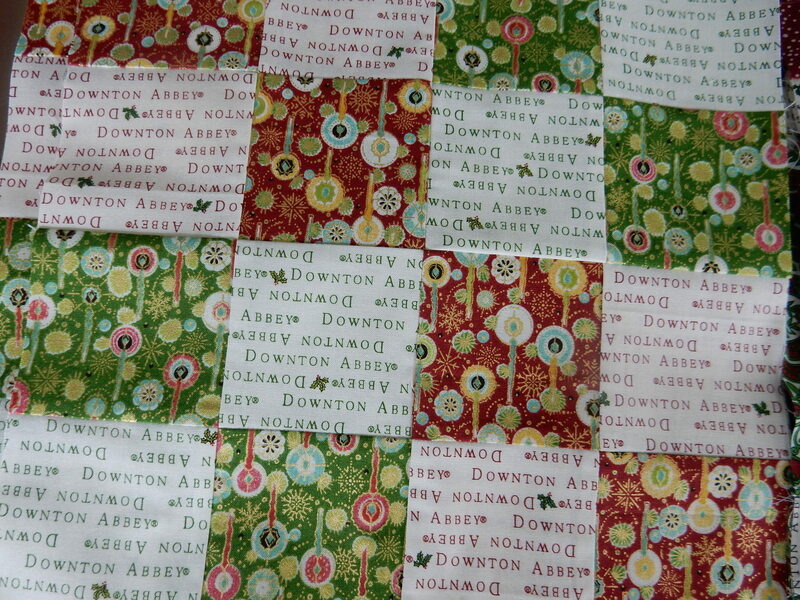 Andover fabrics came out with Christmas Downton Abbey fabric this year! OMG, Christmas and Downton Abbey together? You know you can count me in! 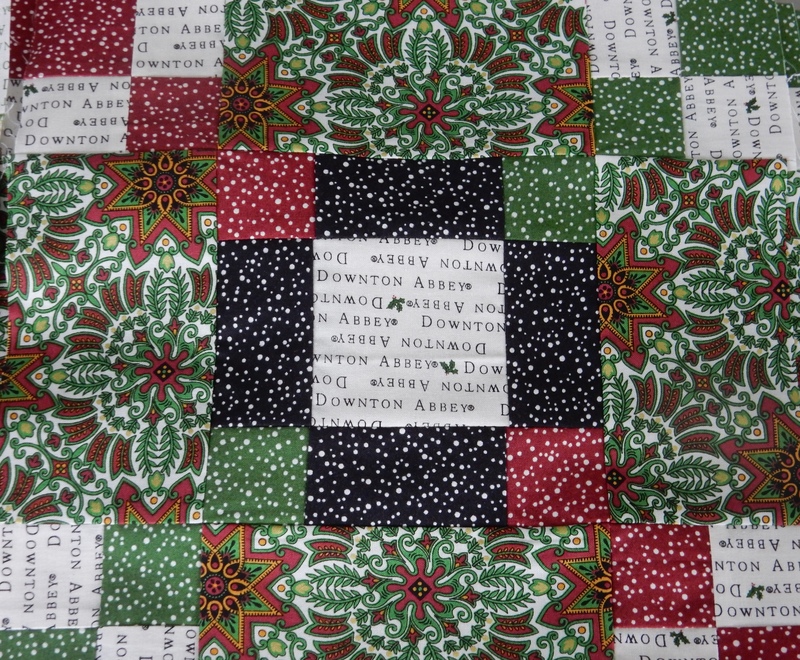 Ebony Love at Lovebug Studios (http://www.lovebugstudios.com) started a Downton Abbey Christmas in July mystery quilt along this summer. I felt it was my destiny, nay, my responsibility, to join in. I’ve never participated in a mystery quilt along before. I decided to go for this one, because I already knew I loved the fabric. In fact, I had already purchasesda half yard bundle of the fabric. The fabric requirements are obviously not the same as a half yard bundle, but I am going to be flexible and mix it up a little to use all the pieces in the bundle. These 16 patch blocks show some of the changes made so far. 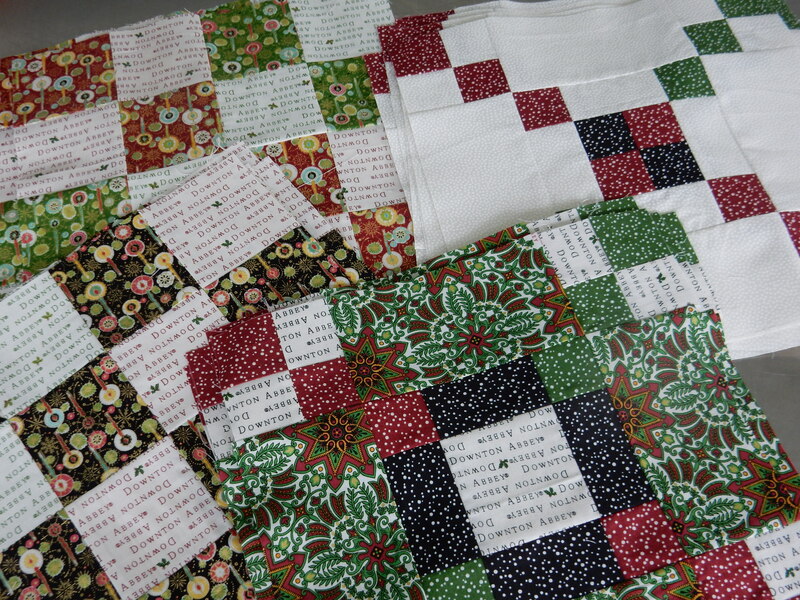 I like the variety that this is bringing into my version of the quilt. I have quite the assortment of candles going on in mine! I will be fascinated when the layout is available, so I can figure out how to incorporate my blocks into it. 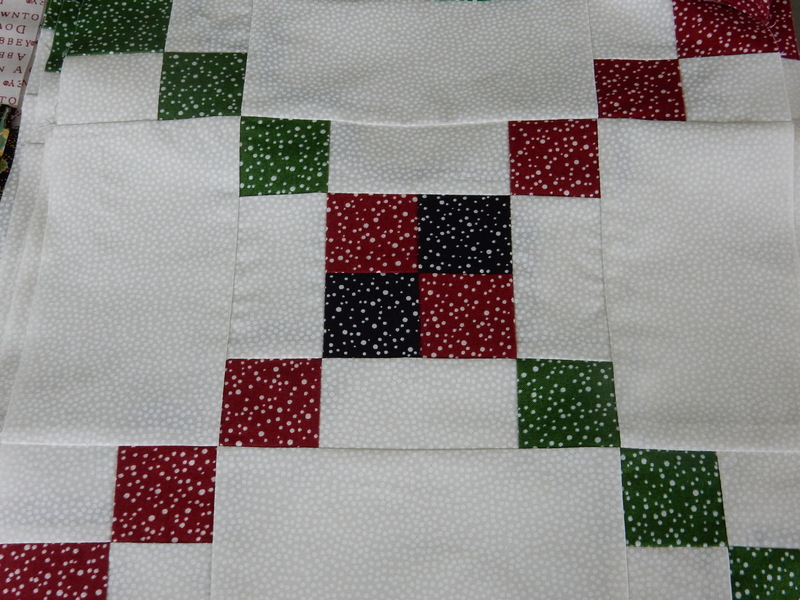 It’s the fifth week of the quilt along, and I am up to date! That is something to celebrate, in my estimation. Once or twice in my life I have joined progressive projects, and let’s just say that staying up to date is not always my modus operandi. I guess it helps that I still like this project. And I know it helps that I love Downton Abbey. I think Lord and Lady Grantham are probably going to invite me to a shooting party soon.